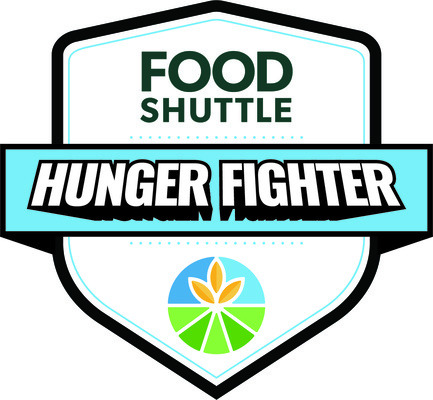 The Food Shuttle fights hunger every day of the year. We can only do it with your help. Click the "recurring monthly gift" option below and you'll be part of the exclusive group of Hunger Fighters that is committed to battling hunger every day of the year - plus we'll send you a free sticker! If you choose to give $30 per month or more, you'll become a member of LEGION365 and receive some pretty sweet perks from community partners. Click to see full list of LEGION365 benefits. Become legendary with a donation of $5,000 or more. Experience the Hunger Fighter Hall. By clicking the above button you agree to have your debit or credit card or bank account charged by Inter-Faith Food Shuttle. By clicking the above button you agree to submit offline payment to Inter-Faith Food Shuttle. Call 919.390.1972 or email [email protected]. 1001 Blair Drive, Suite 120, Raleigh, NC 27603 US.